There is ample parking at Atherton Mill. Here are the turn by turn directions. 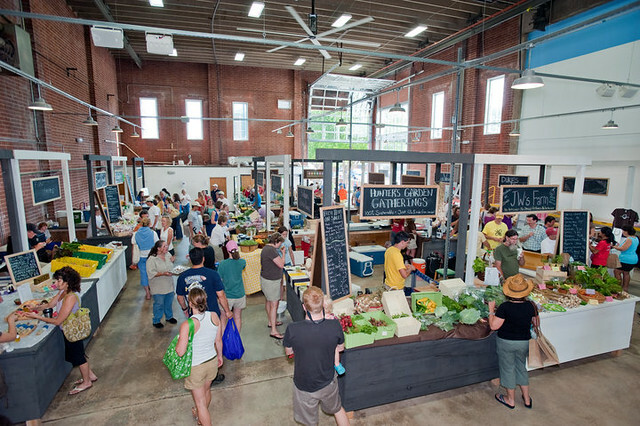 Once you arrive back at Atherton you can head straight to brunch or check out the Atherton Market. The Atherton Market features goods from local farmers and artisans. You can pick up everything from organic fruits and vegetables to handmade soaps to freshly baked bread. And coffee lovers should be sure to visit Not Just Coffee for a cup of their locally roasted pour over coffee. If all that running and shopping has worked up an appetite, head over to Luna's Living Kitchen. 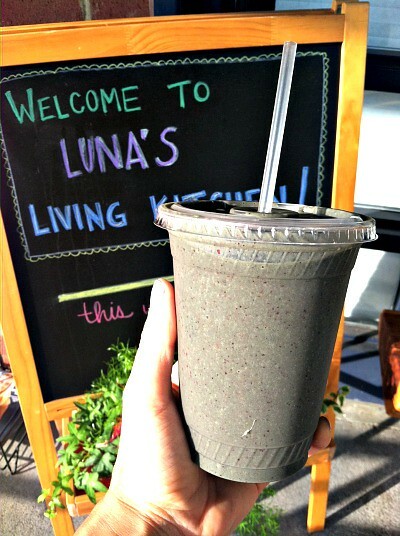 Luna's serves organic, plant-based food, smoothies and cold-pressed juices. They are open for breakfast, lunch and dinner Monday-Saturday. One of my favorite breakfast items is the yogurt parfait. 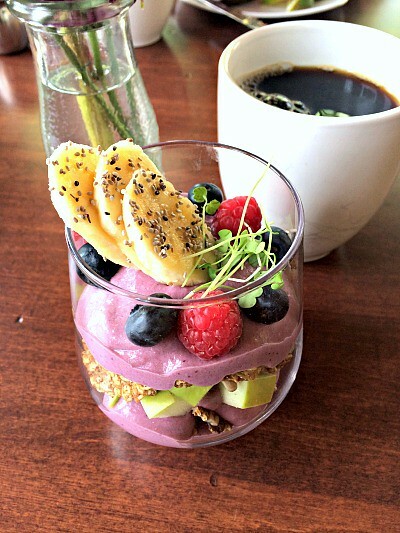 It features homemade cashew‐coconut yogurt layered with fresh fruit and raw buckwheat granola. If you are trying out the juices, I highly recommend the Gateway to Green. It's a refreshing and nutrition-packed combo of kale, apple, lemon, orange and ginger. The presentation of the food at Luna's is beautiful and you can be sure that the food tastes as good as it looks. I love this arugula salad topped with pumpkin seeds, pecans, avocado, cashew cheese, pears and spiralized veggies. 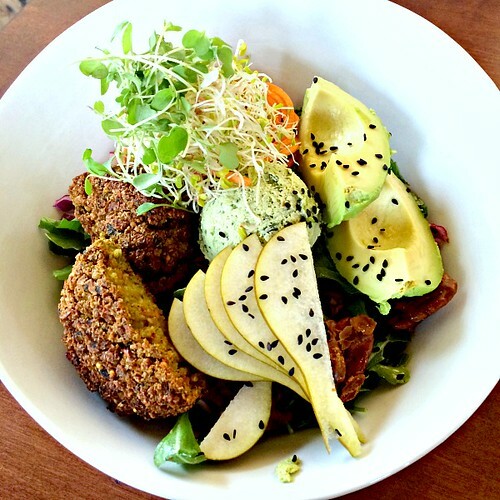 I added one of their house made veggie burgers to my salad for extra staying power and protein. Give this run and and Luna's a try and let us know what you think.